Could Hurricane Florence Slam the East Coast as a Category 5? 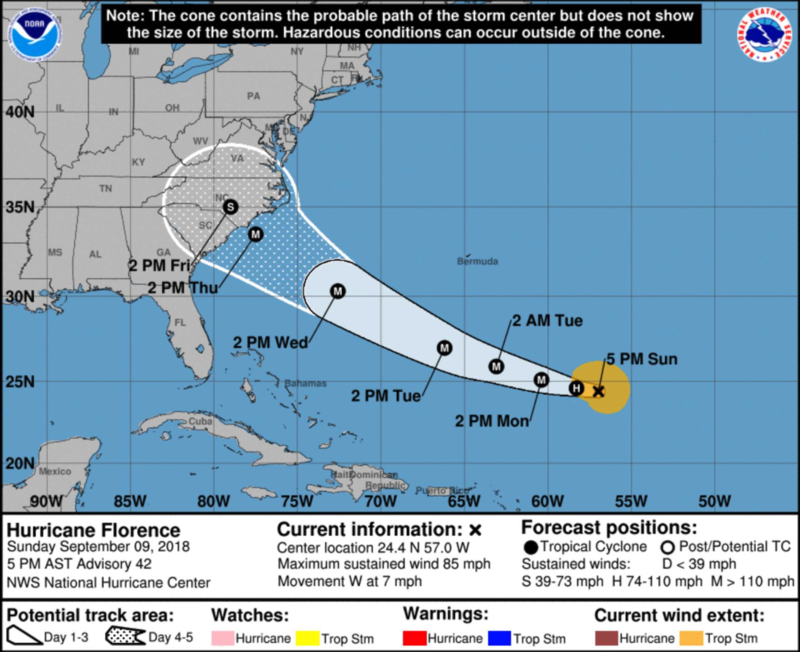 Early reports have Hurricane Florence avoiding the typical Florida or Gulf of Mexico areas and working its way up the East Coast on a path that might include the DMV area. 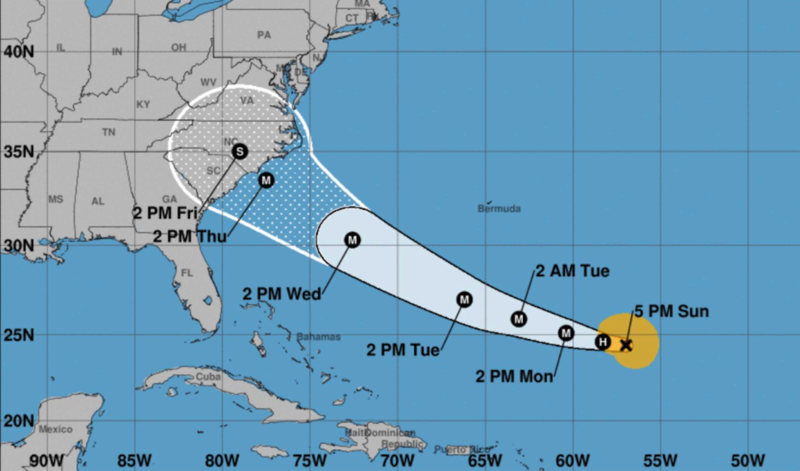 On Monday afternoon, the approaching Hurricane Florence was upgraded to a Category 4 hurricane, as it continued to churn in the Atlantic Ocean. Earlier, Florence had already become the first Category 4 hurricane of the 2018 Atlantic season, but later weakened due to an area of strong wind and cooler waters. Although it is still early, mixed reports have Florence making landfall Thursday night into Friday morning. It could hit anywhere from South Carolina to Maryland, which means the DMV area could be directly in the path of the upcoming storm. Large swells are expected in Bermuda and portions of the East Coast that could cause life-threatening surf and rip currents. The eternal question with these menacing storms is whether we can accurately predict where exactly Mother Nature will steer the storm. Just in case, Virginia has joined North and South Carolina in already declaring a state of emergency. So just how bad can Florence be? Major hurricanes are those reaching Category 3 or higher, meaning sustained winds of at least 111 miles per hour. Florence is already a Category 4, with recorded winds of 130 mph, and it has the potential to become even more violent by the time it makes landfall on the East Coast. Obviously, a Category 4 or 5 storm can cause disastrous conditions across the Eastern Seaboard. South Carolina Governor Henry McMaster said it best: “Now is the time for your family also to prepare and stay tuned for more updates … Plan for the worst, pray for the best." If you live near the coast from Maryland to South Carolina, it is in your best interest to monitor this storm. Always have a plan to prepare for the worst, and hope for the best. The worst thing that can happen with proper planning is you have extra supplies left over! What do you think? Are you ready for the hurricane to hit? What are you doing to prepare for it? Let us know in the comments below!